Dating from the 16th century, the Fountain Inn is a free house comprising several small bar areas with flagstone floors, wooden beams and inglenook fireplace. The pub serves several different beers, for example Fullers, Harveys and other guest beers. There are attractive gardens with pond, and a skittle alley/function room in a separate building at the front of the pub. Some years ago, the pub was used by Paul McCartney to film this video for his song "Wonderful Christmastime." 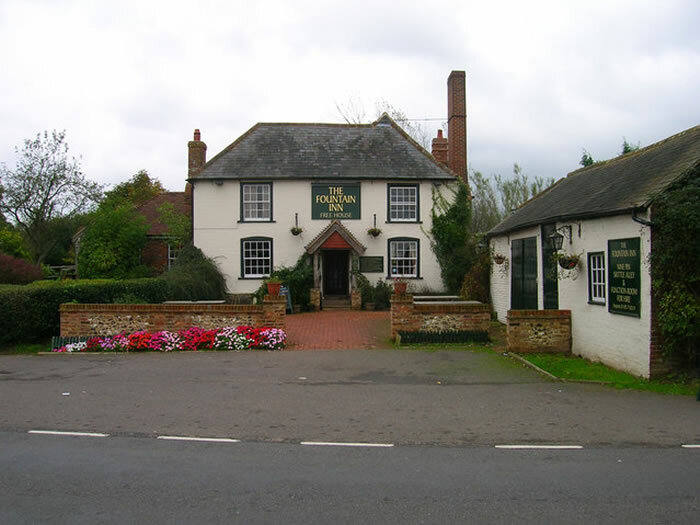 The pub was the "local" of actor Sir Laurence Olivier and was written about by the poet Hillaire Belloc.